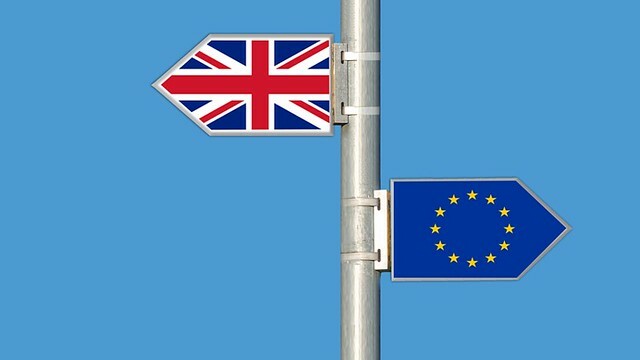 In this lecture, Dr Sophie Whiting and Dr Maria Garcia discuss one of the pivotal issues in the Brexit negotiations: the Irish border. Tension reaches new levels in February 2018, as the EU maintains that a hard border in Ireland is unavoidable if the UK leaves the Single Market and the Customs Union. We stand at a dramatic half-way point in the tense and challenging negotiations between the UK and the EU, with time running out to reach an agreement on the substance of both an intended transition phase and a future relationship before the formal withdrawal date of 29 March 2019. Meanwhile, the UK has yet to fully clarify its vision for the post-Brexit UK-EU relationship, despite significant internal and external pressure. The EU maintains that an agreement must be reached by October 2018 to allow sufficient time for ratification by the EU27 and their national and regional parliaments. In this context, the International Relations and European Politics Group (IREP) brings together experts Dr Sophie Whiting and Dr Maria Garcia from the Department of Politics, Languages & International Studies (PoLIS), to discuss one of the pivotal issues in the Brexit negotiations and one with profound implications for the future relationship between the UK and the EU: the Irish border. Both sides are keen to avoid a hard border between the Republic of Ireland (EU) and Northern Ireland (UK), which poses not only practical challenges, but risks fostering political instability after a hard-won peace process in the late 90s. To set the scene for this fascinating and highly topical issue, the session will begin with two 10-minute presentations. Dr Sophie Whiting will first focus on Ireland, including the historical context of the Brexit border issue and its political impact for both the Republic of Ireland and Northern Ireland, as well as their relations with the UK. Then Dr Maria Garcia will give insights into the implications of the Irish border issue for the ongoing Brexit negotiations and the nature of the future relationship between the UK and the EU. The remaining time will be dedicated to an interactive Q&A between the audience and the speakers. University of Bath’s Dr Sophie Whiting is a Lecturer in politics researching political violence within the context of global peace processes as well as post-devolution and gender politics in the UK. Dr Maria Garcia is a Lecturer at the University of Bath, specialising in the area of the politics of trade, EU trade policy, and norm promotion through preferential trade agreements.